Dispatch sources, roasts and distributes its own coffee in 3 locations as well as online through a new coffee bean subscription service. 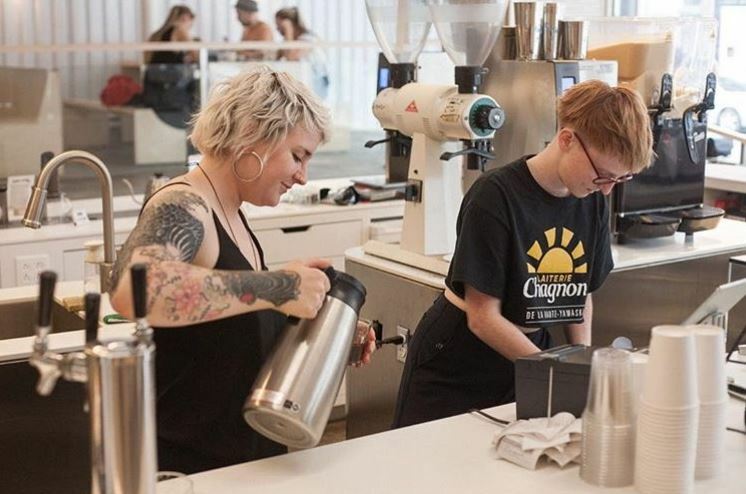 In 2012, Chrissy and her team embarked on a mission to make high quality and responsibly-sourced coffee accessible to everyone. 7 years later, Dispatch sources, roasts and distributes its own coffee in 3 locations as well as online through a new coffee bean subscription service. 1. 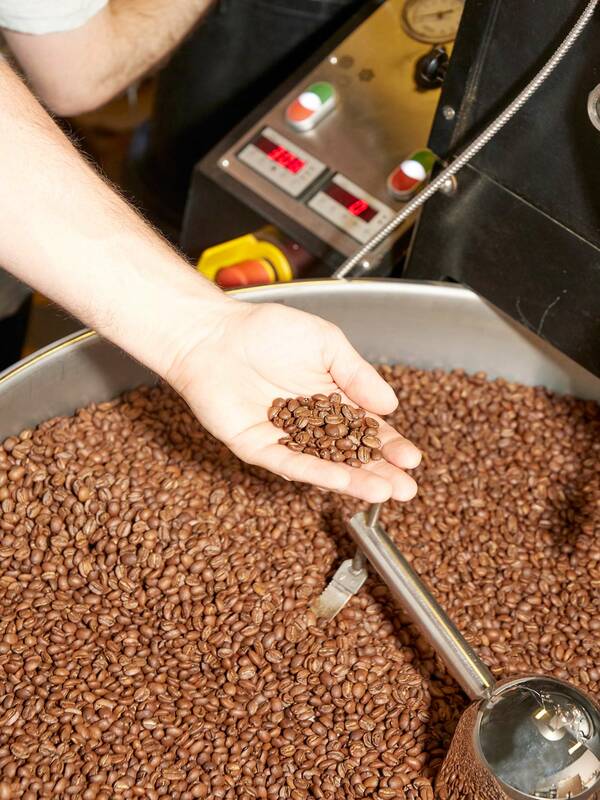 Where does your love of coffee come from? It started with my love of people and a curiosity about supply chains. I’ve been working in coffee for over 15 years. I was first drawn to work in a coffee shop when I was 16, at the time an Italian-run espresso bar and cheesecake shop called Calories in Westmount. 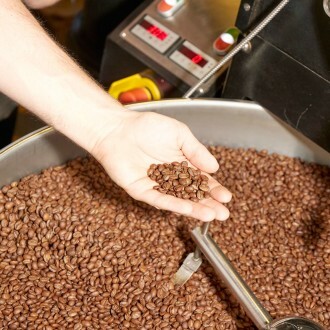 From there I began working at independent specialty coffee shops, and the more time I spent in the industry the more it shaped my perspective that coffee was not just a beverage, but this node that connects millions of people across the globe from agriculture to distribution to roasting to consuming in cafes and kitchens. My love of coffee is still rooted in a love of people and curiosity of supply chain but has evolved to encompass the complexity of this product and industry and its intersection with social/community, economic, historical and environmental impacts. 2. Did you always want to be an entrepreneur? How/why did you get started? I did not have aspirations to be an entrepreneur necessarily. I was studying Communications and film, and actually wanted to be a social-documentary filmmaker, but then discovered that I could apply storytelling to business through brand building and that the process and journey of coffee was full of incredible stories to tell and share with consumers. I also discovered that there were many problems to solve in coffee, at the agricultural level and the economic position for coffee producers in our supply chain, for employees and baristas in the retail space, and for the experiences of customers in coffee shops, I pursued entrepreneurship for a mix of my personal interest in storytelling and to attempt to solve some problems in the supply chain by creating a values-based and transparent coffee company. Because I couldn’t seem to find a company to work for in Montreal that embodied this, I decided to give it a go. 3. Coffee & Baileys or Coffee & Scotch? Coffee and a peat-y scotch, as separate beverages! Honestly – trying to keep it to one a day before 1 p.m. I drink a lot of decaf. Print. Nonfiction biographies. Currently reading the Leonardo Da Vinci book by Walter Isaacson and the Harvard Business Review. Tough…..fresh/warm bagel anyway. Croissant on weekends? 9. Favorite Montreal artist and why? This is a very tough question but I’ll throw out one of them: Moshe Safdie, the architect behind the idealistic and iconic Montreal building Habitat 67. I am very inspired by all artistic and design expressions emerging from the “form follows function”/modernist movement, and would consider Habitat as one of these. 10. Any on-going/future project you can share with us? Currently, I am quite busy with growing our new e-commerce business/National coffee bean subscription service. Longer term, you may find Dispatch retail locations in other cities. 11. BONUS QUESTION Wonder Women or Cat Women?